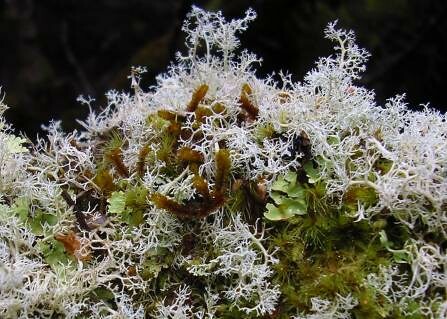 Moss and lichen on a fallen log in the rainforest. 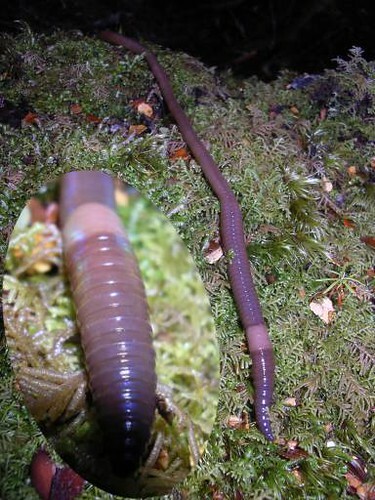 An earthworm, about 200mm long, in the rainforest. 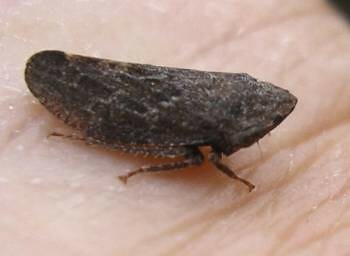 The inset shows a close-up of its head end. 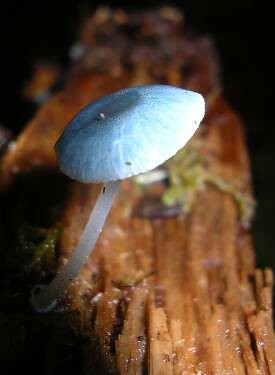 Mycena interrupta, about 25mm across. 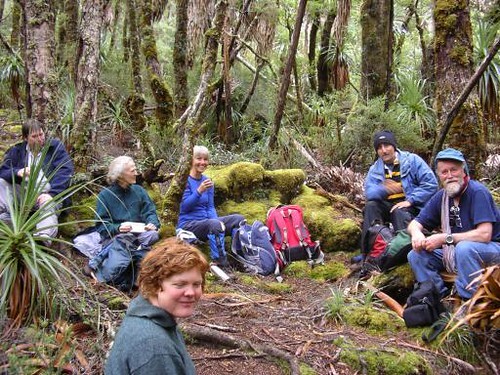 We stopped for a rest about halfway up. 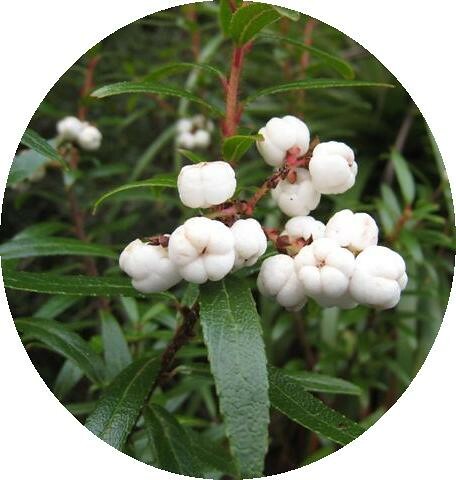 The rainforest has thinned out and, as can be seen, pandani (Richea pandanifolia) is abundant. We saw some 15m high. 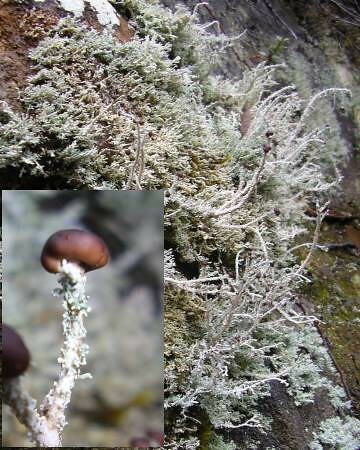 Lichen growing on a rock. 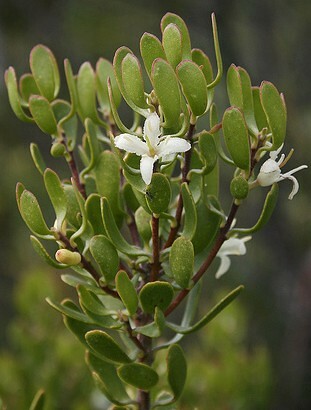 The stems are about 100mm long. 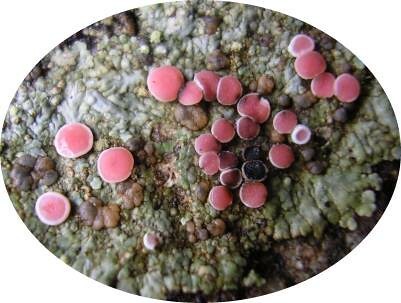 The inset shows a close-up of a fruiting body. 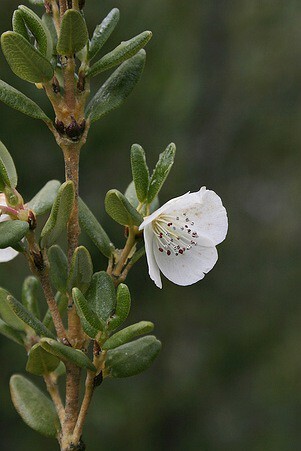 Eucryphia milliganii (Dwarf leatherwood) flowering near Lake Skinner. Persoonia gunnii (mountain geebung) flowering near the lake. 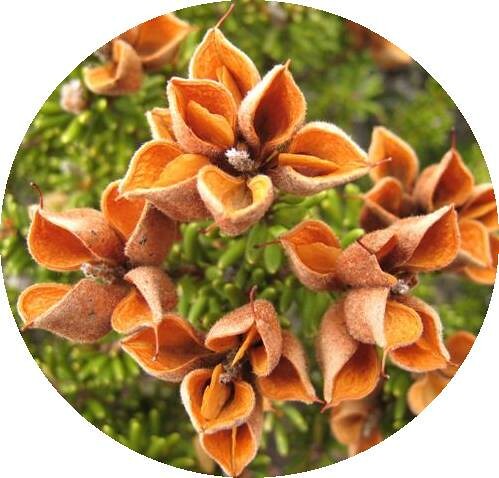 Orites seed pods, near the lake. Not camera-shy! 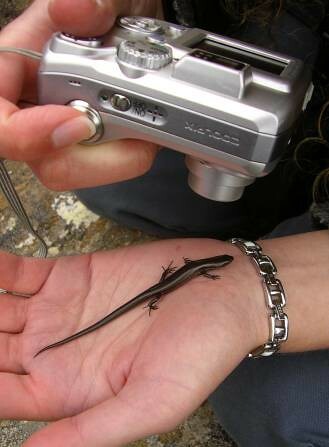 A Metallic skink (Niveoscincus metallicus) near the shore of Lake Skinner. 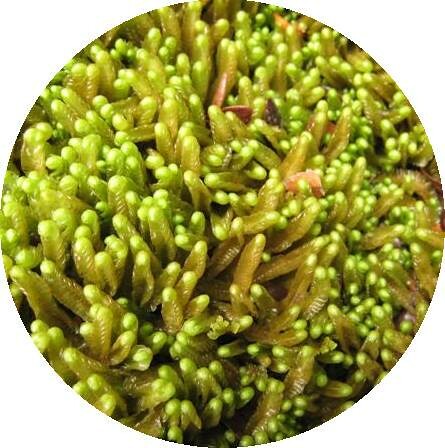 Eusthenia sp. 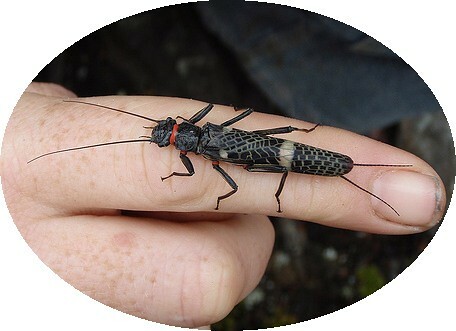 stonefly found at Lake Skinner. 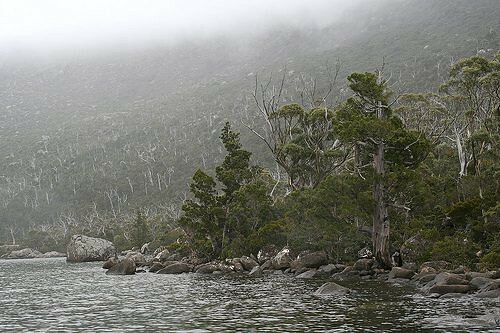 Cold and misty Lake Skinner; skirted by pencil pines (Athrotaxis cupressoides), and further along King Billy pines (A. selaginoides).